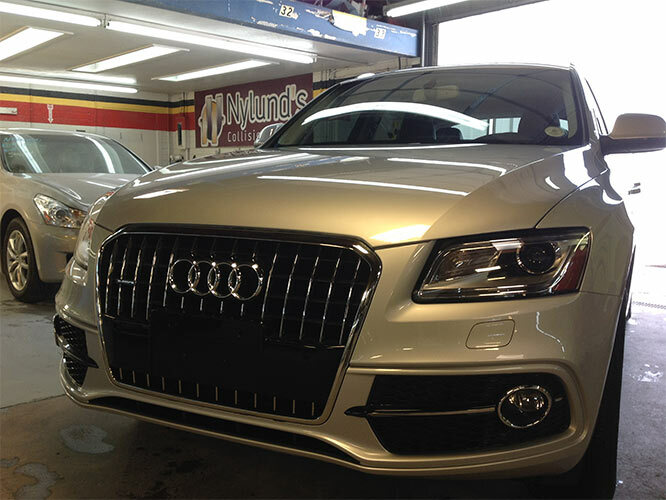 The best Audi body shop in Denver is hands-down, Nylund’s Collision Center. The Denver A-List has voted Nylund’s BEST BODY SHOP every year since 2011… and that’s just the beginning of reasons why you can bring your luxury vehicle to us with confidence that it’s going to be repaired flawlessly! We care about the safety and quality of your repaired vehicle just as much as you do. Here at Nylund’s Collision Center, if it’s not perfect… it’s not leaving! Our skilled technicians have decades of experience in restoring your Audi to pre-loss and even better condition. We regularly receive praise from our guests when they come to pick up their cars that they look as good as the day they purchased them. If you’ve recently been in an accident or have suffered hail or other body damages, contact us today! Our best Audi body shop services and expertise combined with our lifetime warranty on qualified repairs make us the best choice in the Denver area for luxury auto body repair. 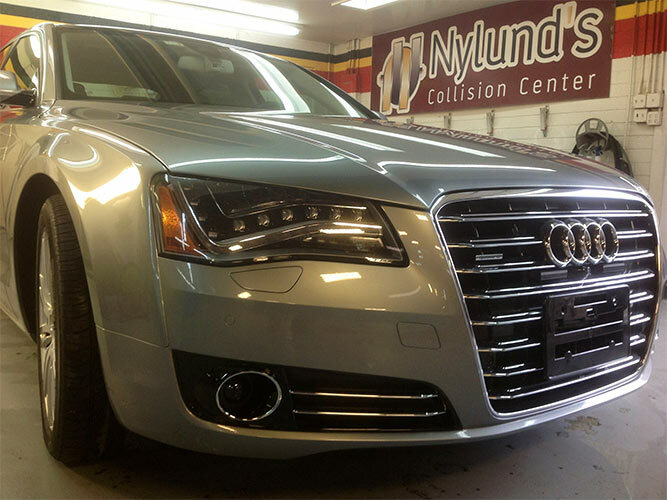 You can rest assured that we will only use original equipment manufacturer’s parts (OEM) to repair your Audi, and that makes up the Nylund’s difference! When it comes to safety, your vehicle’s manufacturer designed your car to optimal specifications. Anything less than original parts creates the opportunity for compromised safety and overall experience. We will not cut corners in the repair of your luxury vehicle! 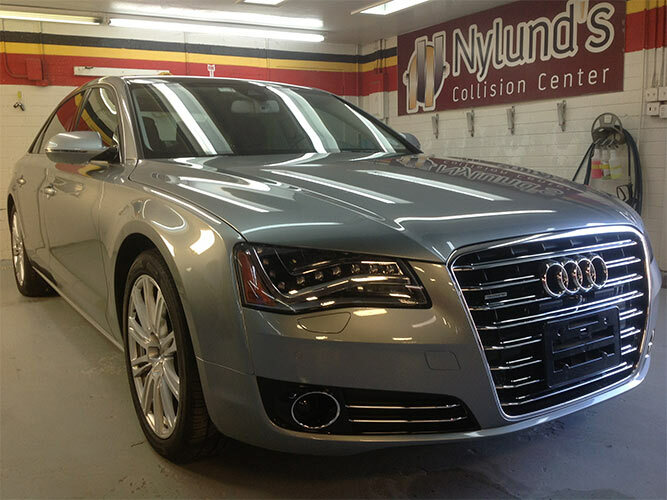 Nylund’s Collision Center can have your Audi looking showroom beautiful. Nylund’s will also handle your insurance claims to make the entire process professional, and hassle free. You have the right to choose your repair center. Choose the auto body repair shop that specializes in Audi, Lexus, BMW and other luxury models. We look forward to becoming your trusted Denver Audi body shop. Please call us at 303-761-9219 to schedule a no-obligation estimate!